Charts for 70mm Binocular (4° aperture circle). Click on a chart to print it. 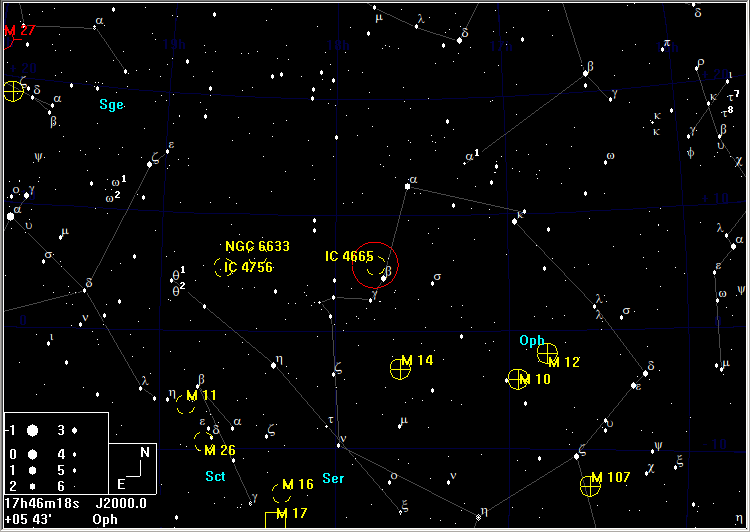 IC 4665 is half a field to the NNE of βOph. 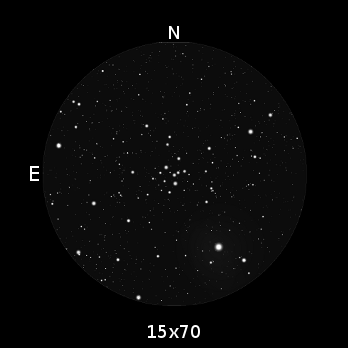 This large cluster is another object that is frequently given in lists for smaller binoculars but which benefits tremendously from larger apertures and the higher magnification that permits more stars to be revealed. Particularly attractive is a curved chain of bright white stars. 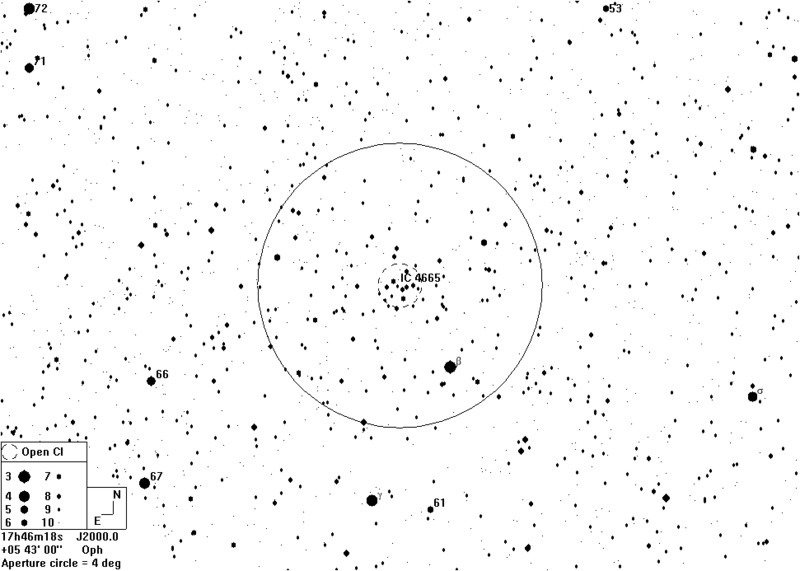 This chain is part of the star-party appeal of this cluster: it forms part of the letter "H" of the word "HI".